Most are naturally drawn to the outdoors for a period of quiet contemplation and/or a restful area to relax in. But often snowy weather, lack of time, or location can inhibit one’s time in the wilderness. Thankfully, it is easier than ever to introduce flora into one’s home. Plants grown indoors have a variety of benefits. Not only are they the ultimate in functional decorating, but some well-placed greenery can brighten a space, purify the air, and also create a more relaxing, restful ambiance. Studies have also proven that bringing lush greenery indoors can help reduce stress levels, relieve tension, and even help one heal faster. Reap the benefits nature can offer by adopting one (or more!) of the following plants into your home. 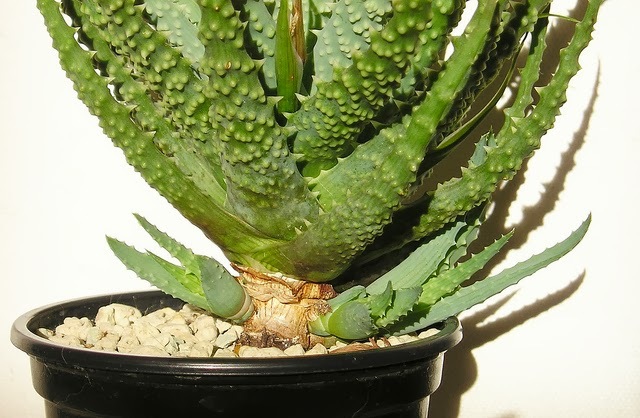 Not only is the aloe plant readily available to soothe sunburns, stings, or cuts, it can also detoxify the body and is great for purifying the air. Aloe can help clear the air of pollutants found in chemical cleaning products. An intriguing aspect, when the amount of harmful chemicals in the air become excessive, the plant’s leaves will display brown spots. According to NASA, English Ivy is the number one houseplant to grow indoors due to its incredible air filtering abilities. It is the most effective plant when it comes to absorbing formaldehyde, and is even easy to grow. An adaptable plant, it can be hung and perched on the floor and prefers moderate temperatures and medium sunlight. If your green thumb is less developed, the rubber tree may be for you. It easily grows in dim lighting and cooler climates. Plus, the low-maintenance plant is a powerful toxin eliminator and air purifier. A wonderful corner plant, the snake plant can thrive without much light or water. It’s also efficient at absorbing carbon dioxide and releases oxygen during the night (while most plants do during the day), therefore one in the bedroom may help you in experience better sleep. This beautiful flower is a wonderful low-maintenance plant to keep in the home. Peace lilies do well in shade and cooler temperatures, and they can reduce the levels of a number of toxins in the air. The heart-shaped philodendron is a popular plant choice for indoor areas, as they’re easy to care for and can grow decorative vines. Similar to the English Ivy, they are particularly good at absorbing formaldehyde. If properly cared for, they can last for many years and grow with your family. The philodendron prefers moderate water and some sunlight. An attractive and soothing plant, the bamboo palm also made NASA’s list of top-ten clean air plants with a purifying score of 8.4. The palm is also quite effective at clearing out benzene and trichloroethylene. Well watered and placed in shade or indirect sunlight, they’ll flourish and intensify the peace in your home. Spider plants are easy to grow and are a popular house plant for many. Not only are they decorative, but they’re also on NASA’s list of the best air-purifying plants. Effective at fighting off pollutants (including benzene, formaldehyde, carbon monoxide, and xylene), they’re a beautiful addition to any home seeking cleaner air. The pothos is a simple -yet beautiful – plant which also made NASA’s list. It grows best in cool temperatures and in low levels of sunlight. Able to clear formaldehyde from the air, it’s a beneficial plant to have in your living room or as a hanging plant, as the leaves will grow down in cascading vines. This vibrant plant can grow to be ceiling height (15 foot dracaenas are common), making it a great plant for decorating and filling up space. It’s beneficial for removing toxins, such as xylene, trichloroethylene, and formaldehyde from the air. It flourishes in sunlight and will be a welcome addition in your home. Plants offer many amazing benefits; grown indoors, they’ll easily allow you to experience better health, create lush living quarters, and be content in a healthier atmosphere. Previous PostPrevious Hello world! Welcome to Cyberputra! Next PostNext 8 Vegetables You Can Buy Once, Then Re-grow Forever! #7 Is A Complete Awesome!